Tomirri Photography from London has recently released photos of the new M3 GTS and M3 Frozen Black edition. For those who don&apos;t know, both M3s share the same black painted wheels type Y-spoke 359 M. However, power-wise, the Frozen Black produces 420hp while the GTS yields 450hp. Some of the Frozen Black&apos;s features include modified rear lights with glass covers in a homogeneous red color, and of course, the dual-clutch transmission. The gloss black 19-inch alloy wheels correlates with its matte paintwork and its red brake calipers match the black Recaro leather seats accented in red stitching. 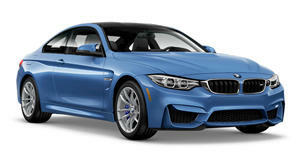 The special edition M3 was launched just before the 25th Anniversary of the iconic car. Adrian Van Hooydonk, BMW&apos;s chief designer, was personally responsible for the Frozen Black&apos;s styling. Enjoy the pictures. Photos courtesy of Tomirri Photography.